Dark Tango, mysterious Twist and psychedelic Cha-cha-cha aren’t the first styles you’d expect from a ’60s Egyptian Soundtrack. 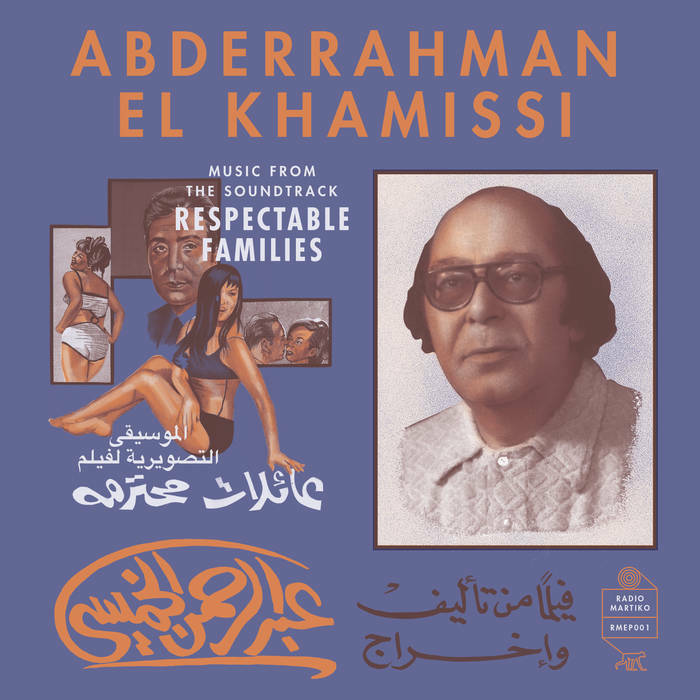 Romanticist and artistic all-rounder Abd al-Rahman al-Khamissi stands out with this absolute timeless musical production for his 1969 movie “Respectable Families”. Here on ‘Hind (cha-cha-cha)’, listeners are placed in a time machine and thrust into an ultra-cool word of another time. Suave with a hint of mystery, ‘Hind’ turns life into a cinematic experience. The release features four instrumental dances that express poetry through music! Alive from 1920-1987, Abd al-Rahman El Khamissi was an Egyptian poet, writer, journalist, dramatist, radio producer, film director, composer and talent scout for famous Egyptian actors such as Soad Hosni. He has been seen as a great romanticist and one of the finest Egyptian poets of his time. Khamissi’s versatile talents as an artist and story teller portrayed in many ways the aspirations of Egyptian society. Due to his political views, Khamissi was imprisoned from 1953 until 1956. After his release, started a long journey to cities and countries such as Beirut, Baghdad, Libya, Rome, Paris and Moscow, were he eventually died. Over thirty years after his death, this will be the first time his music will be released outside of Egypt. His “Respectable Families” OST fits perfectly in Belgian-based Radio Martiko’s eclectic catalogue of virtually unheard of discs from all across the globe.